I am devoted to disease prevention, wellness, and restoring health. My clinic takes a whole person centered care approach and combines conventional medical principles with regenerative medicine. 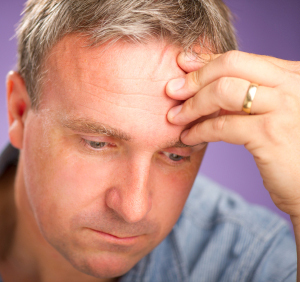 You may be suffering from hormone deficiency or male hormone imbalance. Hormones play a crucial role in the functioning of your body. Their levels and balance are extremely important for your health, physical shape, and well-being. As a man ages, his body becomes less effective in producing these vital hormones. Hormone levels fall to unhealthy levels creating a hormone imbalance in your body. A well-publicized low testosterone condition called hypogonadism, also known as Low T, is not the only type of hormone deficiency. Other hormones are present and may need balancing as well. This understanding of the importance and function of the male hormone balance has led to the development of modern Bio-Identical Hormone Replacement Therapy for Men. Bio-Identical Hormone Replacement Therapy for Men (BHRT) uses hormones that are identical, on a molecular level, to the natural hormones occurring in your body. The goal of BHRT is to supplement low hormone levels (low-T and other hormone deficiencies) and to restore the critical hormone balance in your system. BHRT combined with lifestyle modifications, changes in diet, and increased levels of exercise can have a positive impact on your health, improve your quality of life, and help you look better and feel younger. Hormone replacement therapy requires a holistic approach, if you want to slow down the aging process, stay healthy, and live longer. Medical Disclaimer: All information on this site is of a general nature and is furnished for your knowledge and understanding only. This information is not to be taken as medical or other health advice pertaining to your specific health and medical condition. Dr. Naveed Naeem specializes in preventive medicine and provides customized and comprehensive medical care to help you look and feel years younger. Elite Health is for men and women who wish to benefit from nutrition, exercise, supplements, skin care, and bio-identical hormone replacement therapy. Copyright © 2019 Elite Health. All Rights Reserved.